Kiss has long been an American hard rock phenomenon. With painted faces and platform shoes, the members of this iconic brand set out to be the kings of the rock & roll world. Having already dominated just about every corner of their marketing empire, there was just one more element that needed to be added to the list, an over the top Las Vegas show complete with pyro. 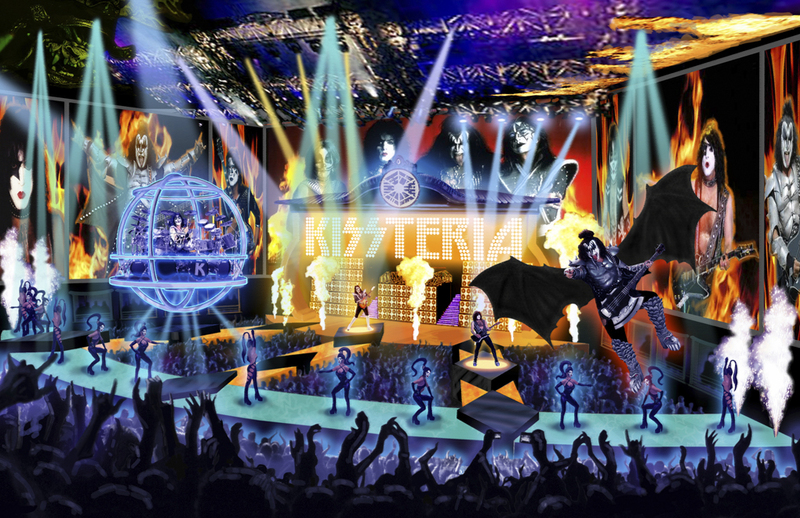 We were asked by our client to help visualize this unique theater spectacular, which has big hopes of becoming a reality in the near future.